Scan all the products (if you have 5 identical articles, scan it 5 times, or use the keyboard to set the quantity). 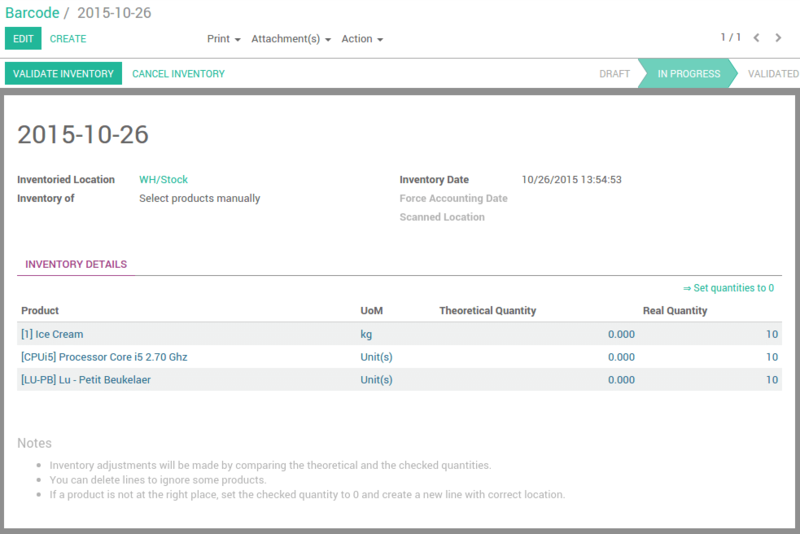 If you manage multiple locations, scan the location before scanning the products. Eg. scan a shelf's barcode ; scan each product on the shelf ; repeat for each shelf in the wharehouse. 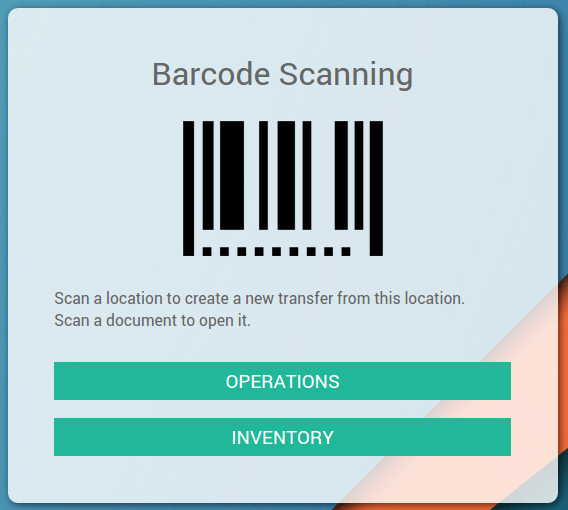 When you've scanned all the items of the location, validate the inventory manually or by scanning the Validate barcode.